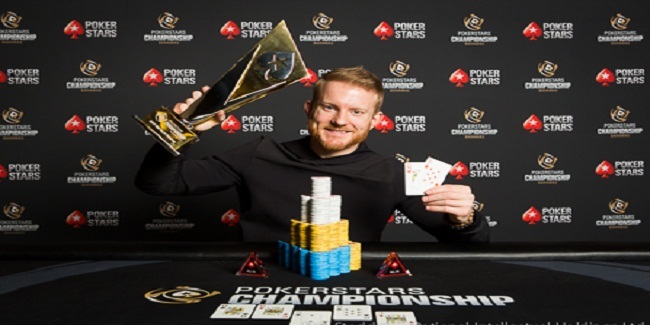 Jason Koon of Virginia, United States wins $100K PokerStars Super High Roller Bahamas and pocketed $1,650,300 as first prize. The tournament took place from January 6 to January 8, 2016 and received 41 entries from almost all top players. Out of 41 entries, 13 were re-entrants. Total prize pool generated for the championship was a whopping $5,239,080. 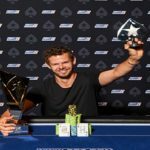 Besides being a top gainer on previous day, the chip leader Charlie Carrel of United Kingdom couldn’t conclude at a winner and finished his journey being a runner-up for a total winning share of amount $1,191,900. 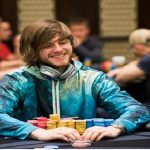 It is his fourth consecutive final table at High Rollers since last 7 odd months, but not a single title though he made through to the final table every time he played. Jason Koon was very happy after winning the first ever High Roller. He said “this could be best of my achievements”, I have won many times but not big like this, he added. Daniel Colman of the United States collected a good total of amount $759,660 being at third place. Colman was looking good once, but it was Koon’s day, so he couldn’t do more than this. Players like Daniel Negreanu, Jason Mercier and Bill Perkins were entrants but got busted earlier than final table. The first man to hit the rail was Bryn Kenney of United States, who got busted to seventh place for a total winning share of amount $275,060. The next man got busted from the table was another US professional poker player named Connor Drinan. 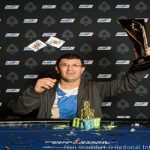 He pocketed $340,540 from the championship and got his seat booked at sixth place. 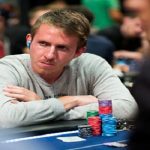 Byron Kaverman of USA busted to fifth position and made $445,320 from the game, while Canadian Daniel Dvoress collected $576,300 from the game being at fourth place. Daniel Colman becomes third position holder for amount $759,660.